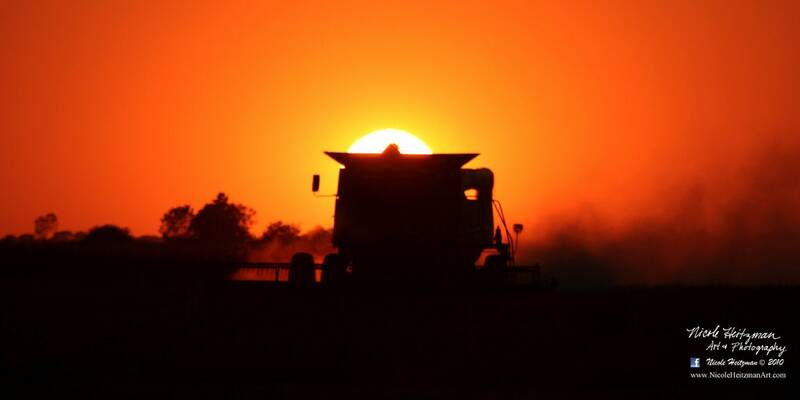 This photo was captured by Photographer and Artist, Nicole Heitzman, from the fields of South Dakota during soybean harvest. The gorgeous sunset & the silhouette of the combine makes you feel like you are standing right there in the fall crisp air. You can almost feel the ground rumble as all of the farmers in the area harvest their richly sown crops .